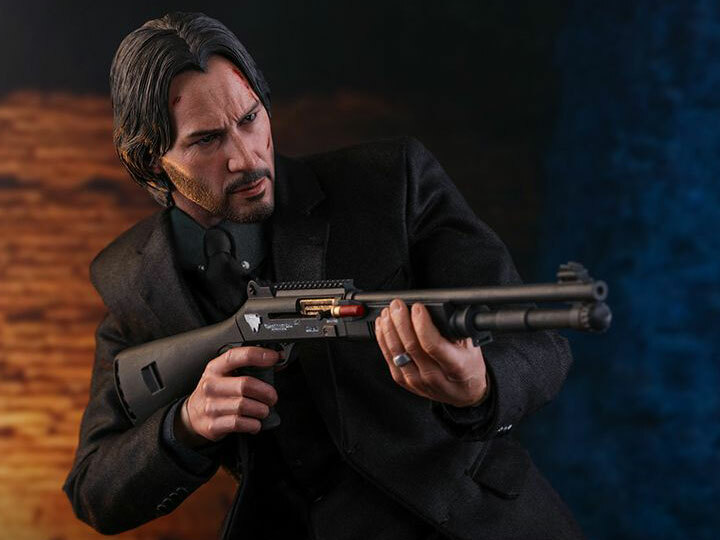 At a certain point in John Wick 2 during the catacombs scene in Italy, Wick's shotgun jams and he has to eject the shell. However, prior to the jam, there is clearly something red hanging off the shotgun that looks like a shell for several cut-scenes. Was this a production sequencing mistake and the jammed shell was already 'stuck' in there so that he just had to rack it out? Not sure how difficult it is to intentionally stage a jammed shell. Just to confirm Steve-O's answer. The Internet Movie Firearms Database (IMFDB) has a wealth of information on all types of weaponry used in movies. John uses a Benelli M4 Super 90 during the fight in the catacombs. It is fitted with a fixed stock and customized by TTI. When he shoots it for the first time, he fires 11 rounds before reloading; this would be only possible with an extended tube capacity of 9+1 shells and by having ghost loaded an 11th shell. Not the answer you're looking for? Browse other questions tagged john-wick-chapter-2 production-mistakes . Why is everybody there in the park at the end of John Wick chapter 2? Why was there a clip of silent movie at the start of John Wick Chapter 2? Is there an explanation for John Wick's behavior at the end of “John Wick: Chapter 2”? How does Santino connect with the first John Wick movie? What's the value of the John Wick gold coins? Is there a common outdoor cinema event/phenomena referenced in John Wick 2 and Jessica Jones season?